PCDC & AAEC VITA Programs Concluded in March! Thanks, Volunteers! 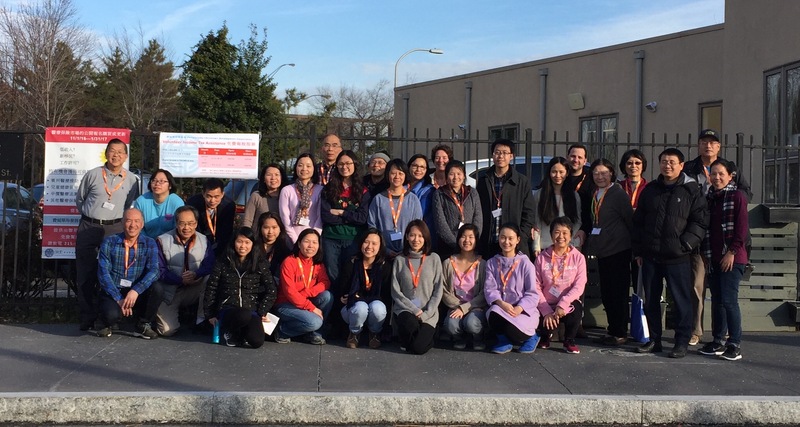 PCDC’s third annual VITA Program partnered with the American Association for Ethnic Chinese, operating under the Campaign for Working Families, had its last service day on March 12tth, 2017. Over the 4 weekends – 8 services dates, 386 free 2016 tax returns were filed. $ 317,214 in Earned Income Tax Credit (EITC) were claimed. Refunds totaled $609,316. There were a total of 38 volunteers this season. We are grateful for their commitment and contributions to the program! PCDC is very proud to be a part of the VITA program. Although we do not receive any grant support for VITA, we are amazed by what we are able to accomplish with our volunteers, most of whom grew up in Chinatown and have returned to give back to the community. service. 99% of PCDC’s VITA clients speak only Chinese. This is unique to our site. All our volunteers are IRS-certified. The only cost for their services is time, and our system is designed to streamline the process. Upon arrival to PCDC, each taxpayer is given a number. The volunteer tax preparers serve the lower numbered returns first. Unfortunately, there are times when a volunteer does not speak the client’s language, therefore they need to move to the next client who they can communicate with. Also, during the intake process, each client’s return is rated according to its complexity. We match the more difficult returns with more experienced volunteers. In addition, when there are returns with several family members, sometimes returns must be reviewed in a particular order, and prepared together . We as volunteers can understand the frustration of having to wait. Our priority, however, is to enter information accurately. If our clients aren’t happy, we aren’t happy. The entire process from intake to completion including wait time can take 2 to 3 hours for a simple income tax return to 5 hours or more for a more complex return. Once intake has taken place, there is normally a waiting time before a tax preparer is available. After the tax preparer has completed entering all the necessary information, there is also a waiting time before a reviewer can check your return to make sure we obtained all credits available to you. To reduce your wait time, we suggest you drop off your return. You simply complete intake and return to pick your tax return up during one of the pick up days. Thanks to our VITA Volunteers! ***Special thanks to those who committed more than 6 service days!